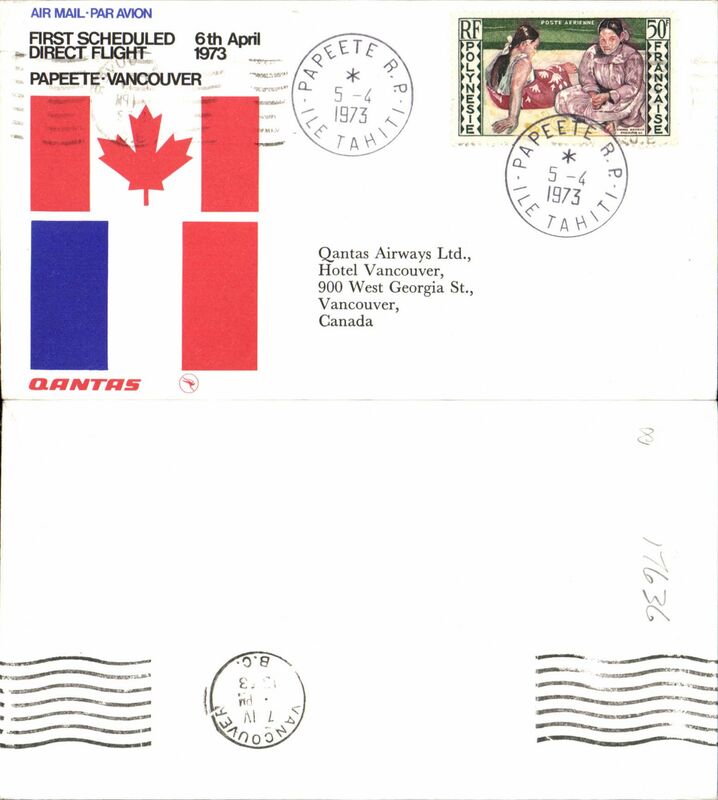 Polynesian Airlines, experimental flight Rarotonga to Bora Bora, cachet, b/s, souvenir cover, signed by pilot Capt. J.D. 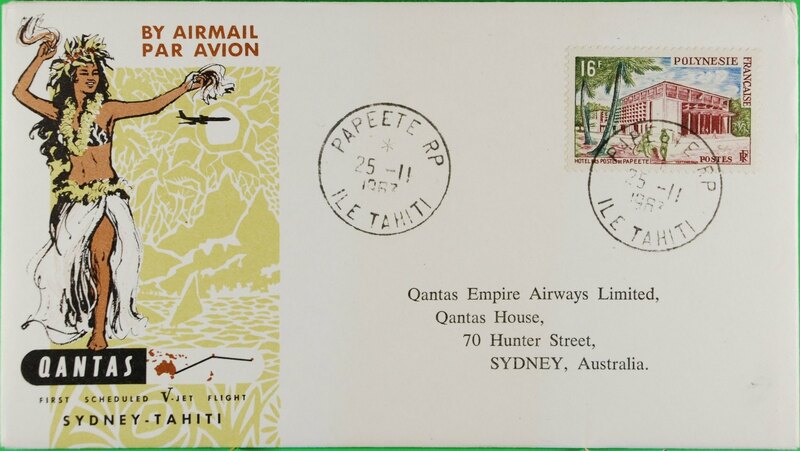 Washington..
Polynesian Airlines, experimental flight Rarotonga to Bora Bora, cachet, b/s, souvenir cover, signed by pilot M.W. Bonner.